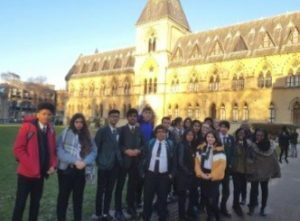 We are always delighted to see students get a taste of university life while at school, as it helps them make big decisions about their future. 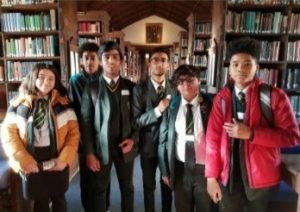 A group of Year 10 Cedar Mount students were welcomed to the University of Oxford recently, thanks to GM Higher. The activities began with a brief yet informative talk from the head of admissions and outreach, followed by a meeting with three current students at the university, who were able to give genuine insights into uni life. After lunch, four undergraduate students gave 10 minute tutorial-style activities to groups of five pupils at a time. The sessions were a great hit, with everybody left wanting more! 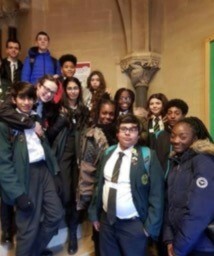 Following a quick trip to the Natural History Museum to meet with a researcher, our students headed home. These visits are a fantastic opportunity and we know they have a huge bearing on our young people’s futures – they help inspire them in their work and decisions.